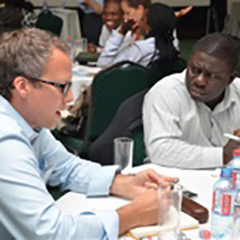 The Managing CSR for #ValueCreation Certified Masterclass series provides participants with intense and engaging learning experiences across critical CSR and Sustainability areas. Participants focus on critical areas to develop a practical, value-creation focused understanding and emerge with tools, frameworks, and strategies that can immediately be used to drive business value and career success. For more information on all of our program offerings, visit www.CSRTrainingInstitute.com. This program is designed for professionals and executives who are responsible for strategy, stakeholder and community engagement.